Stripe Online Payment Integration: simple & secure, now you can pay your LinkTrust bill when you login to LinkTrust. 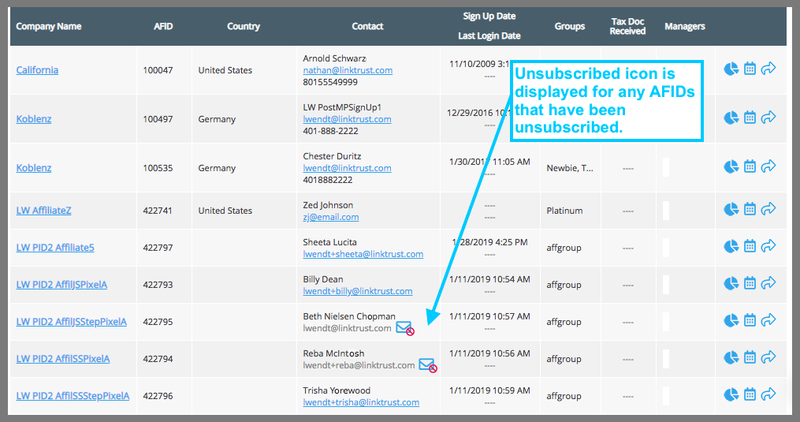 Easy Unsubscribe: your affiliates can quickly unsubscribe from all system affiliate notifications. QuickBooks Exports: easier format for accounting. Login to linkTrust. At top right, select My Account and click the New Billing Tab. 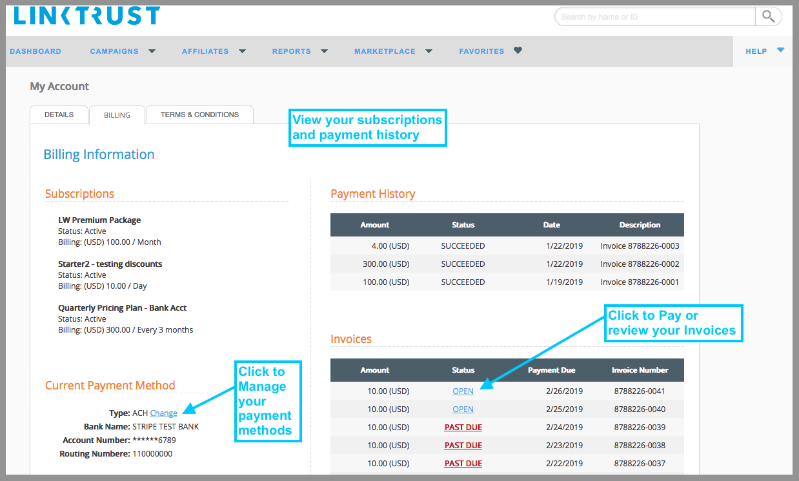 Manage your payment methods, pay invoices, and view your subscriptions and payment history. All in one place. When an affiliate wants to stop receiving system emails from LinkTrust, they just click the unsubscribe link at the bottom of a system email. Easy as that. QuickBooks (Desktop) export files previously showed the commission due to an affiliate as a sum total. Now each assigned campaign's commission due will be listed as a separate transaction in QuickBooks, reducing the work for accounting teams.